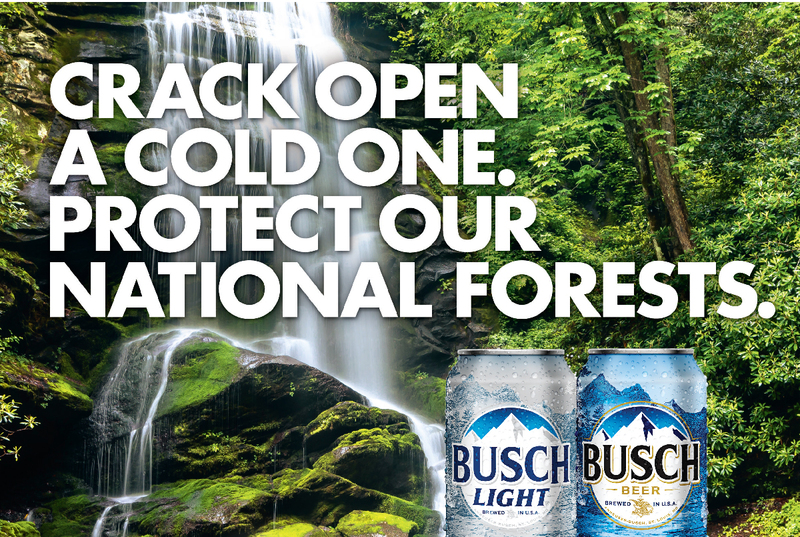 Crack open a cold one and protect our national forests. For every package of Busch or Busch Light purchased from September 3rd through December 31st, Anheuser-Busch will donate a portion to the National Forest Foundation. So enjoy the great outdoors with an ice cold Busch or Busch Light. To learn more about about this mission please visit, https://www.busch.com/national-forest-foundation.html.